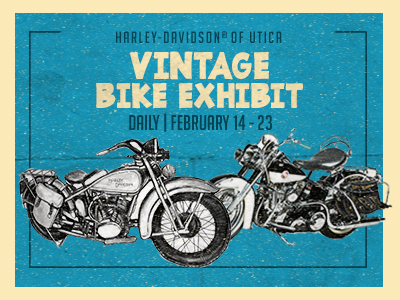 Overview: Join us DAILY from February 14 to February 24 as we host our 2nd Annual Vintage Bike Exhibit. See classic bikes from around central New York, all on display at H-D of Utica! Free and open to everyone to visit. Photo opportunities available, see classics from 1915 to 1999 in our expanded display.